Consider the social construction of the preservation of knowledge in a digital age. Preservation veils a highly charged issue of social ordering beneath the technical language of the techniques by which preservation is achieved. Yet a closer look at preservation at this moment, when technology itself challenges the unquestioned connection between preservation and the power of the commodification of knowledge within the vessels in which they were preserved (e.g., physically tangible objects, like books) to support hierarchical social structures. To speak of preservation of knowledge, then, is to understand the structures for the preservation of social order. I have considered "the social construction of the production of knowledge . . . the way in which the production of knowledge—an apparently neutral task—is heavily dependent on judgments about what constitutes knowledge and how that knowledge is to be ordered and valued. That sort of production is a communal task, one that may implicate the way in which knowledge and its production is more important to the maintenance of order within and among communities, than it is about the production itself." Larry Catá Backer, Ruminations XXXII: Knowledge Governance, the Governance of Knowledge and the Politics of Information as a Behavior Management Technique, Law at the End of the Day, Oct. 13, 2010). The digital age has reshaped much of our cultural foundations in sometimes subtle ways. It has certainly been a powerful enough force to begin to make nonsense of a wonderfully self contained rules for the preservation of knowledge that was grounded in the verities of a pre-digital age. But like its production, the preservation is both a communal task, and one that is built on basic premises about the identification of knowledge (a semiotic task) and its dissemination. Those premises are still highly contested. 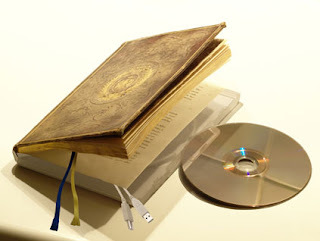 They pit on the one hand those who see no change in the environment of preservation, merely a change in the technologies and methods of keeping knowledge secure against those who view digitization as permitting a new relationship between the production, preservation and dissemination of knowledge. For the former the disconnection between knowledge production, preservation and dissemination preserves old power structures grounded in societies in which asymmetries of knowledge translate into orders of power relationships. For the later, the connection between knowledge production, preservation and dissemination suggests not vertical but horizontal power relationships and social ordering. Politics, social order, and law are intimately tied to the seemingly innocuously technical issue of preservation. 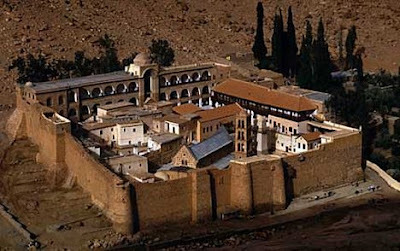 The recent efforts at preservation of the library of St Catherine's monastery in the Sinai Peninsula provides a wonderful illustration of the fundamental paradoxes of preservation of knowledge and the social and political structures which are thereby also preserved. It suggests the connection between form, function and knowledge. (Mark Schrope, "Raiders of the Lost Text: What Secretes Lie in the World's Oldest Library?, The Washington Post Magazine, Sept. 9, 2012) ). The library at St. Catherine's provides an almost pure manifestation of the old knowledge/power construct. Knowledge is produced across the territories of the power community (first Rome, then Byzantium, then Christendom). But the repository is remote. And within that remoteness, the site is enclosed and self contained. It is inward looking and meant to operate as a vault. It is a place of storage and of contemplation, to be sure, but only by a limited group. What a difference from the library at Alexandria--but that was an even older tradition, born of empire confident in its power and willing to expose its knowledge and make it available. The library at Alexandria is placed in the center of power. It burned and with it the sense of open exuberance in the preservation of knowledge. The competing model, one exemplified by the storage mentality of the Qumran caves, suggested a different position of knowledge and power, one closer to that of St. Catherine's and the medieval world. But even within this model St Catherine's was exceptional--remote both in physical terms and cut off from the borders of the territory in the service of which the knowledge in the library was meant to serve. This was knowledge not merely preserved but entombed. Knowledge was preserved by writing and that writing was preserved and made safe by placing it in a safe place. Knowledge and writing were not necessarily identical. But access to knowledge by those for whom it was unavailable otherwise (that is the acquisition of new knowledge) was limited to those with access to the vaults of knowledge--libraries. Access to libraries reinforced social and political order. Consider the Jewish scholar seeking access to the scrolls at St. Catherine's. More commonly, consider the likelihood of the peasant. Knowledge was beyond access precisely because it was reduced to writing and valued in a safe place. To access it she would have had to learn to read (a skill limited by caste rules) and he would have had to gain access to the knowledge vaults (unlikely without the appropriate position in the secular or religious hierarchy). To preserve knowledge in this environment, one had to hold it close. One had to reduce knowledge from its abstract state to a commodity--the combination of writing language and materials that could transmit the writing which itself represented in symbolic forms (letters and words) the knowledge it symbolized. But preservation involved more than holding close--it also involved a complex social and political hierarchy in which access to such knowledge and the objects in which it was contained, was severely limited. But this remoteness and its ids-connection from the world, plus the passage of time, produced a situation in which the guardians of knowledge themselves became remote from the knowledge that the objects they guarded contained. Guardianship itself became disconnected form knowledge and was reduced to ritual and tradition. The value of knowledge receded and the judgment of the choices for preservation became molded by the knowledge community now substantially isolated. Ironically this produced both an exaggerated tendency to preserve by meticulous copying of texts and a hierarchy of choices of what to preserve dictated by the knowledge horizons of those charged with preserving knowledge. The result, replicated in the ancient West, was the practice of overwriting ancient text producing palimpsests. " With the chance to study the monastery’s palimpsests, the experts hope to better understand whether there are discernible patterns in the decisions people made about what texts they scraped away. Sometimes monks brought in parchment that was already scraped; sometimes they did it themselves. Pages might have been chosen because the material on them wasn’t considered important, but selection could just as easily have meant that the monks thought they had enough copies of a particular text. In some cases, a single manuscript leaf might include three or more layers of text, all from different centuries. And sometimes pages from one scraped manuscript were taken apart and used in multiple other manuscripts, creating puzzles to be pieced back together." (Mark Schrope, "Raiders of the Lost Text: What Secretes Lie in the World's Oldest Library?, The Washington Post Magazine, Sept. 9, 2012) ). The guardians of knowledge, now in some significant measure the custodians of modern libraries, tend to hold tight to the premises and systems with an origin in the milieu in which St. Catherine could flourish.There is much in the new wave of digitization to apply ancient concepts of the power relationships inherent in the preservation of knowledge to the new technologies that are now available. Rather than build libraries for physical objects like books and paper, these vaults now contain impressions of knowledge written in the language made possible by technology--the language of microfilm, microfiche and electronic media, including disks and other media that can be accessed only through computer assisted means. In a sense the commodification of knowledge on this basis has made knowledge even more remote. In addition to reading, one needs the technology to access knowledge, and of course, permission to access. At the same time, these objects of knowledge preservation are subject to the same tendency to "rot" as the old objects--books, scrolls and the like. Data rot affects computers, too. Over the years, both the hardware and software programs become obsolete and are abandoned. Just ask biotech worker Bill LaVia, who can no longer open his slideshow presentations from ten years ago. "The program is Aldus Persuasion, and it was slideshow presentation program. They basically went out of business, because PowerPoint took over that marketplace." PowerPoint can't open his Persuasion files. "My data is unreadable," he said. In fact, so many computer formats have come and gone, they could fill a museum. And they do: The Computer History Museum in Silicon Valley. And they can be overwritten, producing their own version of palimpsests. But St. Catherine's seeks to preserve the old while embracing the new. They would digitize their existing library--effectively copying knowledge form older to current media. They would recover older knowledge through modern technology--the palimpsest project. And they would then make all of this available online through a web site they maintain. The foundation has supported interim upgrades to storage facilities now filled with bar-coded storage containers Father Justin scans with his iPad to check contents. Such work already stands as an example of what can be done — and what should be done — to protect ancient manuscripts. Several tourists have been kidnapped en route to or from St. Catherine’s by Bedouins seeking attention during the government’s transition. These events, while taking a heavy toll on tourism, have remained relatively peaceful, with captors treating prisoners like guests and releasing them physically unharmed. But preservation protects against trouble in many forms — including the accidental variety such as fires and water damage. Once digital images of documents are sufficiently distributed around the world, the information they contain becomes exponentially safer. (Mark Schrope, "Raiders of the Lost Text: What Secretes Lie in the World's Oldest Library?, The Washington Post Magazine, Sept. 9, 2012) ). This provides a different basis for knowledge preservation, one made possible by technology. It seeks to unlock the vaults and make knowledge available. But there are still considerable barriers. Knowledge is reproduced and distributed in its raw state. That poses significant problmes--who reads Syriac anymore? Preservation halts time. But human society moves on. Language, writing and the socio-cultural rituals and markers for knowledge reduction to symbol is unstable. A class of mediators--those conversant in the old but able to translate to current conditions and symbol use in language, will be necessary. But what might have been taken for granted at the time of the writing may be lost to readers now completely disconnected from paces and times that have passed and that no longer exist. More importantly, information available on the internet bit maintained only on one site may be subject to destruction with the destruction of that site. What difference is the to the burning down of the physical buildings of the monastery at St Catherine's and the destruction of its servers with its digital collection? And thus I arrive at the beginning. Preservation that maintains the rituals of past, and its insistence on the privileging of the property characteristics of the objects of knowledge as a basis for controlling the content of those objects--that is of controlling access to knowledge itself, will continue to imperil the preservation of knowledge irrespective of the sophistication of the technology available to extend its reach. In order to preserve knowledge one must give it away (and thus, for example, this web site which makes knowledge freely available with hopes that it may be copied and spread, with appropriate attribution, of course!). Putting documents up on a website, like opening a reading room in a library, provide greater access, but control is retained by the owner of the physical objects in which knowledge is embedded. And by that control they also participate in those systems in which knowledge becomes an object of status within society and a measure of the power of the those with or without access. This is particularly important today, as large communities of people increasingly become aggressive about the value of certain forms of knowledge and sometimes dedicate themselves to its eradication, or to its suppression and limitation to those with authority in vertically constructed social and political orders. To preserve knowledge in a technologically advanced age means permitting others to copy knowledge and to make it available and to invite all to access and utilize such knowledge. It requires, in effect, a commitment to the premises of the system of the library of Alexandria but with a greater willingness to permit copying and multiple repositories in distinct media. It requires a commitment to knowledge in the world rather than to a system of vaulting knowledge of the world. "For 17 centuries, the Greek Orthodox Christian monks here have protected an unparalleled trove of manuscripts. Now the monastery is in a multimillion-dollar push to physically and digitally protect its treasures and make them easily accessible, in most cases for the first time, to scholars around the world." (Mark Schrope, "Raiders of the Lost Text: What Secretes Lie in the World's Oldest Library?, The Washington Post Magazine, Sept. 9, 2012) ). Preservation, then, is now understood as a form of transparency. And as a form of transparency, the political project of transparency becomes clear.